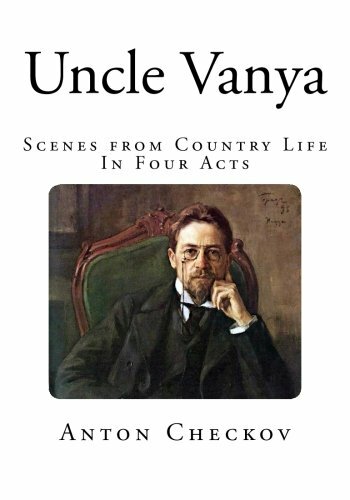 Download Uncle Vanya: Scenes from Country Life in Four Acts ebook. Uncle Vanya, Scenes from Country Life – In Four Acts, By Anton Checkov, Uncle Vanya is a play by the Russian playwright Anton Chekhov. It was first published in 1897 and received its Moscow première in 1899 in a production by the Moscow Art Theatre, under the direction of Konstantin Stanislavski. The play portrays the visit of an elderly professor and his glamorous, much younger second wife, Yelena, to the rural estate that supports their urban lifestyle. Two friends, Vanya, brother of the Professor’s late first wife, who has long managed the estate, and Astrov, the local Doctor, both fall under Yelena’s spell, while bemoaning the ennui of their provincial existence. Sonya, the Professor’s daughter by his first wife, who has worked with Vanya to keep the estate going, meanwhile suffers from the awareness of her own lack of beauty and from her unrequited feelings for Dr. Astrov. Matters are brought to a crisis when the Professor announces his intention to sell the estate, Vanya and Sonya’s home and raison d’etre, with a view to investing the proceeds to achieve a higher income for himself and his wife. Chekhov renounced the theatre after the disastrous reception of The Seagull in 1896, but the play was revived to acclaim in 1898 by Constantin Stanislavski’s Moscow Art Theatre, which subsequently also produced Chekhov’s Uncle Vanya and premiered his last two plays, Three Sisters and The Cherry Orchard. These four works present a challenge to the acting ensemble as well as to audiences, because in place of conventional action Chekhov offers a “theatre of mood” and a “submerged life in the text”.